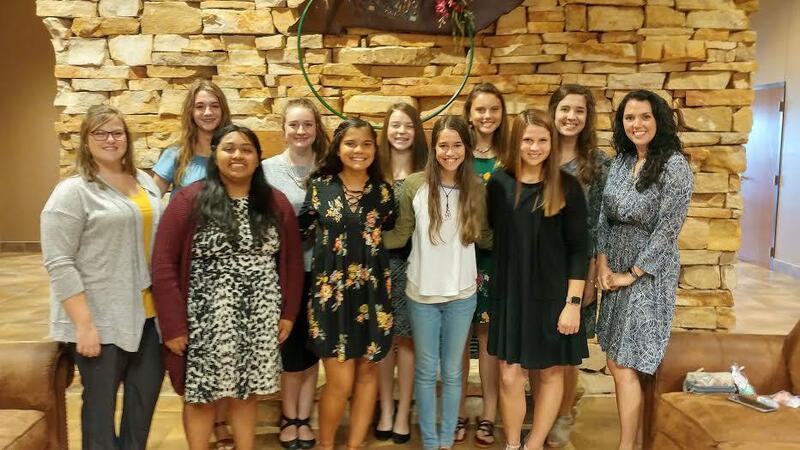 Several female members of the Logan County High School Future Business Leaders of America (FBLA) chapter attended a luncheon sponsored by the Logan County Chamber of Commerce on Aug. 28. The luncheon, which was held at the Logan County Extension Office, concerned women in the business place and featured Christy Smallwood as the motivational keynote speaker. The event also proved to be an excellent opportunity for club representatives to network with local business leaders. LCHS-FBLA club members who attended the event are as follows: Karlee Canler, Katie Fernandez, Campbell Hamilton, Laren Hines, Bailey Howell, Emma Macy, Reece Sears, Anna Silvey, Maria Wells, and Addie White. FBLA is a nonprofit educational association for students who are interested in learning more about the free enterprise system. The organization’s purpose is to prepare members for careers in business and to assist them by becoming better employees and citizens. FBLA helps students develop leadership abilities, prepares them for entry into business-related occupations, and offers a setting where members compete at regional, state and national levels in business and technology curriculum. The LCHS club sponsor is Abbi Lillard.